State Rep. Ron Reynolds, a Democrat from Missouri City, is busy appealing convictions and settlement judgments related to his law practice, but he says he’s confident he can ‘easily’ win re-election. Angelique Bartholomew (l) is challenging state Rep. Ron Reynolds in the Democratic runoff for House District 27. Two days after her 23-year-old daughter April died in a car wreck, a "special" visitor came to Nancy Calloway's home to offer his condolences, she says. Ron Reynolds wasn't a member of the Texas Legislature yet, but there was little doubt he soon would be. Reynolds had already won the 2010 Democratic primary for the House District 27 seat and faced only a Libertarian challenger in the upcoming fall election. “He came to my house as my state representative to console me,” Calloway would later testify in court. But Reynolds was also a personal injury lawyer, and by the time he left that July day, Calloway later testified, the Missouri City woman had signed a contract hiring Reynolds to pursue the family's claims against the truck driver and trucking company involved in her daughter's death. “Here I am, this emotional wreck, and the next thing I know my husband is saying, 'He can represent us, let’s go ahead and let him represent us,'” she recalled. Reynolds calls Calloway's version of events “false.” He says a former client referred him to Calloway’s husband, and he didn’t meet her until a couple of weeks after her daughter’s death. Reynolds did handle the family's case, and Calloway ended up suing Reynolds for malpractice, claiming Reynolds improperly kept some of the settlement money that was supposed to be paid to her. Last month, a Harris County judge awarded her $504,000 in damages. It was the second of two such cases recently settled against the embattled lawmaker, who in November was also convicted of five counts of illegally soliciting legal clients. Free while appealing his one-year sentence, Reynolds, 43, is seeking a third term in the Legislature, and despite his litany of professional woes the odds appear in his favor to win it. Reynolds finished first in a four-candidate field in the March 1 Democratic primary, winning 48.5 percent of the vote — not quite enough to win outright. Now he faces a May 24 runoff against mediator Angelique Bartholomew, a 46-year-old Alabama-transplant who has never run for elected office and drew 24.1 percent of the primary vote. “We have to address the fact that our incumbent is embroiled in case after case of wrongdoing,” she said. “I guarantee if I wasn't a Democratic lawmaker, if I wasn't minority whip, I wouldn't be facing all that I’m facing,” he said. Bartholomew says racial prejudice is not the root of Reynolds' problems. “Social injustices truly exist in the minority community, but Reynolds was not a victim,” Bartholomew said. As the first black person elected from Fort Bend County since Reconstruction, Reynolds started strong. The House Democratic Caucus voted him Freshman of the Year by the end of his first legislative session in 2011. He proudly highlights criminal justice bills he supported, including one authored by state Sen. Royce West to provide grants to police departments for body cameras, grand jury reform and state Rep. James White's bill to decriminalize truancy in Texas. In the weeks since placing second in the primary, Bartholomew said she’s been busy block walking and phone banking, trying to get her name out there in a district that covers Fort Bend County southwest of Houston. But Bartholomew has parts of her own past to address, Reynolds argues, including two bankruptcy filings. Bartholomew said she and her first husband, an aspiring athlete, filed bankruptcy in 1995 for debt he accrued after suffering an injury. Then, in 2009, Bartholomew and her second husband filed bankruptcy during the economic downturn when he was out of work, she said. Two of her children’s hospital deliveries were not covered by her insurance policy, forcing them to file. It’s why she says she’s focused on working to expand Medicaid. “It’s very difficult for middle class families. I’ve had to choose between the house note and insurance note,” she said. Bartholomew has the backing of Annie’s List, a group that seeks to elect women in Texas who support abortion rights. “This is a district that’s troubled by poor leadership, and we’re going to invest in the long haul here and work with her,” said Laurie Felker Jones, communications director for Annie’s List. Meanwhile, Reynolds said he’s eager to return to the Legislature to tend to unfinished business, including passing a bill that would require a special prosecutor be appointed in cases of officer-involved shootings, a single-member district bill for Fort Bend ISD and continue to advocate for full-day pre-K. He has the financial backing of colleagues in the Legislature and in Congress. 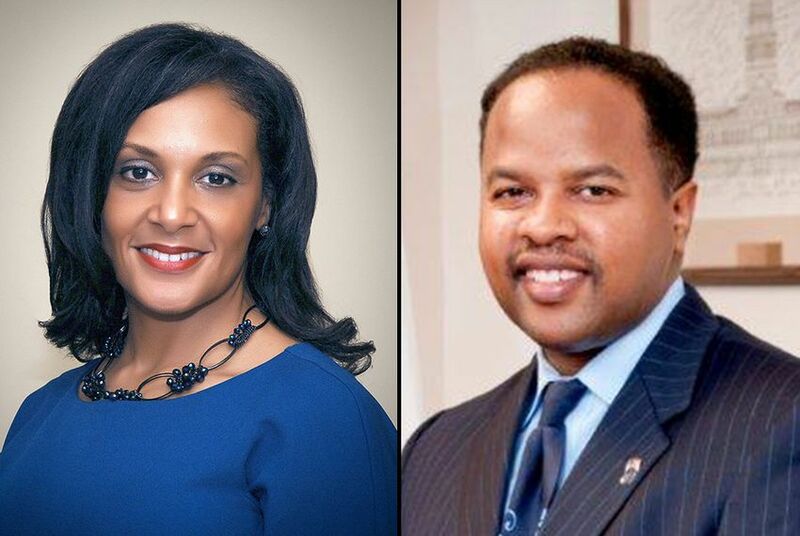 State Rep. Senfronia Thompson, D-Houston, donated $10,000 to his campaign in February, Rep. Yvonne Davis gave $5,000 that same month and U.S. State Rep. Al Green contributed $1,000. Leading up to the primary, Reynolds had raised $38,615 with nearly $9,000 cash on hand in the campaign finance filing period ending Feb. 22. Bartholomew raised $2,330.33, according to that same report, and had previously received a $15,000 infusion from Annie's List. “That’s going to be my report card, the election,” he added.